The KASCO Powermate is simply the best resharpenable meat grinder system available today. 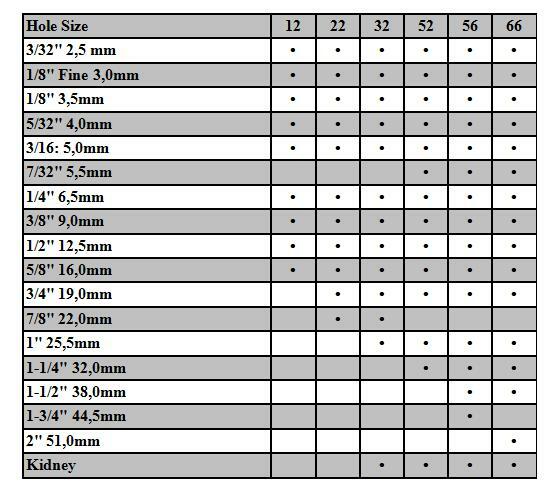 Precision engineered of high-strength hardened stainless tool steel, Powermate meat grinder parts are ideal for all large volume meat grinding operations or high horsepower machinery. Powermate meat grinder plates and knives are inexpensively sharpened over and over to provide years of cutting life. This is a cost efficiency measure that can reduce costs and boost profit margins. Powermate components fit any make or model of meat grinder in the "Enterprise" system. All Powermate meat grinder parts are perfectly matched, with ultra-sharp cutting edges that produce long strands of beautifully blended ground meat for maximum shelf life and sales appeal. The welded knife bars on the knife clean faster and easier than ordinary bars attached with screws or rivets, which means more sanitary meat cutting conditions. 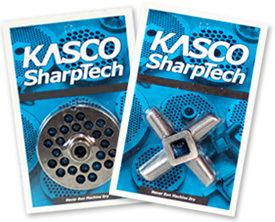 In addition, KASCO provides a precision square center hole in the knife, an extra precision step that helps decrease stud and wear.